Magento has grown worldwide as an ideal e-commerce website platform since its inception a decade ago. It is a unique e-commerce tool specially designed to ensure the image of the brand across globe and growth in revenue. In order to make the most of this world-class and feature-rich e-commerce platform, website owners hire Magento developers to make use of several plugins or extensions in their digital store. As a result, you will be able to extend the functionality of your e-store as well as ensure a future-proof business with optimized returns. Many e-commerce plugins are offered by Magento to use for shopping sites; however, you need to pick only the best ones. To relieve you from the daunting task of researching e-store-specific plugins, we have piled up the list comprising of all the plugins you need to make a name in the market. 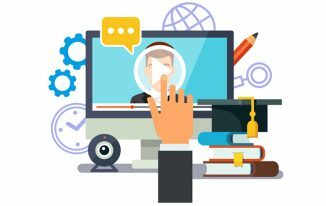 These plugins will definitely bring enhancement to your website’s functionality to assist your business to grow in the hyper-competitive environment. Your targeted audience can easily find and see the full list of your stores and products if you have installed this plugin on your website. Customers can reach to you by simply searching for your store by country, state or zip-code. Store Locator is user-friendly and responsive as well as offer multiple store support. Using this plugin, you can find out what products are selling best on your e-store and accordingly allows you to show those products to your customer. With Best Seller Product plugin, you get enable and disable options and can completely customize the look and feel of your products. As an entrepreneur, you would want to extend your reach to the worldwide audience because it simply is a positive aspect of doing business. Shipping is a concern when approaching for such efforts. However, Shipworks make it all easy for you as it provides the features like labels creation, updating orders, sending an e-mail to the customers. Companies like FedEx and DHL use it. Online transactions are often a security concern for the shoppers. A website that doesn’t have an authentic checkout processor isn’t backed up by good plugins surely creates suspicion. Fontis Securepay plugin is a great deal to entrust your customers for any security concerns they might have for online shopping. It completes online transactions in a secure manner, using the Secure XML gateway. It is important for businesses to retain the past customers by offering them value. The campaigns and newsletter cater to all such requirements. Checkout Newsletter, Magento’s e-commerce plugin can take care of campaigns and regular updates by featuring “Sign up for newsletter” option to your customers. This way, customers would be persuaded to shop from your store repeatedly. Irrespective of the size, every business requires a blog to optimize the store for search engines and gain exposure from maximum eyes searching similar information as your niche. 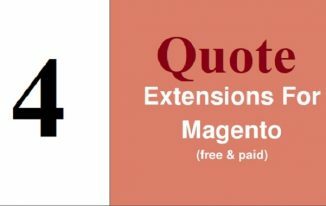 This free plugin, Magento 2 Blog Extension allows you to manage your blog to update your customers on the trends or any upcoming product or offer. Also, it is completely SEO-friendly and can be integrated with Blog’s sitemap. Indubitably, no one likes complex checkouts. Data shows that most of the people abandon their carts due to the complicated checkouts. One Stop Checkout offers you to deploy a simple checkout solution which is as simple as one-step-checkout. Besides, you can add banners of best selling products via rules of the display to encourage customers to buy more from your e-store. FAQ section of any business is a vital part of any website, especially e-commerce as customers need to know the delivery schedule, cancellation related questions, etc. Hire Magento developer to install FAQ Magento 2 in your website and setup a good-looking and informative FAQ page to your digital store. This plugin is extremely easy to install, configure and upgrade. No proper limit has been suggested for this plugin to add questions and answers. Another way to impress your customers is by allowing them to access your e-store using social media. By installing Magento2 Social Login on your website, you can allow your customers to quickly login to your store without having to go throw a complex registration process. This plugin can also be easily customized as per the requirement of your store. SERP Editor is another must-have plugin that allows the e-commerce store owners to edit, manage and create the content in a way the user can see your products in the search results. It assists you to create concise and clear titles, Meta description, and keywords. Finally, the list of all the plugins important to your Magento e-commerce store comes to an end. Integrate these extensions in your e-commerce business store by either taking help of a Magento development company or do it on your own, and experience betterment in returns, traffic, and functionality. Author Bio: Linda Wester has vast experience in the web development field. Presently she works as a front end Magento developer at magento customization company. She is fond of writing Magento tutorials and always lookout for opportunities to interact with Magento communities.